Conference interpreters are multilingual communication professionals whose essential duty is communication between speakers of different languages. Our interpreters are professionals with advanced university training and many years of experience who master their working languages to perfection and are also broadly cultured and have a high degree of specialisation, enabling them to undertake their activity at conferences, talks and international meetings. Prior to any event, interpreters always thoroughly prepare the topic and terminology. The organisers’ cooperation is essential for this, as beforehand they must provide the documents, reference material and any text which might be used, whenever possible. 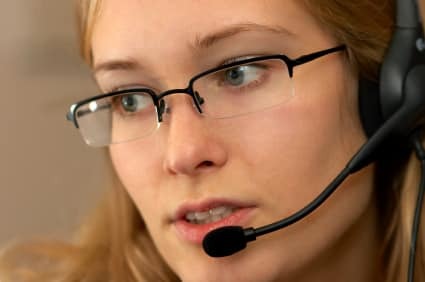 Conference interpreting is a difficult profession of heavy responsibility which requires qualities such as physical and psychological endurance, versatility and diplomacy. In addition, all professional interpreters respect a strict code of practice with regard to integrity, professionalism and confidentiality. For all these reasons, at Acantho we rely on the best professionals in the sector, who we try to support throughout the entire preparation process leading up to the event and during its course. • We have a network of interpreters spread over a wide number of regions in the world. • We make it our top priority to locate the best interpreters for all language combinations in order to make them available to our clients so that they get the best service. • Speak to our interpreting department. We are sure to have interpreters with the language combination and specialisation you require in your locality or near it.